March 2019: Our paper just appeared in Nature: access full text here. We report on how two monolayer TMDs hybridize when stacked, role of the moire pattern in the atomic registry, and importantly how all of these are controlled by the twist between the layers. The paper is on the Nature web-site. Our paper, and several other studies published last week are also accompanied with a News and Views article. November 2018: Our new paper on ‘Valley coherent exciton-polaritons in a monolayer semiconductor’ is published in Nature Communications. This is collaboration between Sheffield, Clermont-Ferrand, Oxford and Manchester. See the Open Access manuscript here. November 2018: Our paper ‘The valley Zeeman effect in inter- and intra-valley trions in monolayer WSe2’ has been posted on arxiv.org: see here. This work led by our group is a collaboration with Manchester, Konstanz, Exeter, and NIMS (Tsukuba). October 2018: Several PhD projects are available in the group. See the description at FindAPhD. Send inquiries through FindAPhD or directly to a.tartakovskii@sheffield.ac.uk. October 2018: Alessandro spent almost 6 weeks in the group of Professor Klaus Ensslin at ETH Zurich. This secondment is part of Spin-NANO network coordinated by Sheffield. October 2018: We welcome a new PhD student Charalambos Louca. 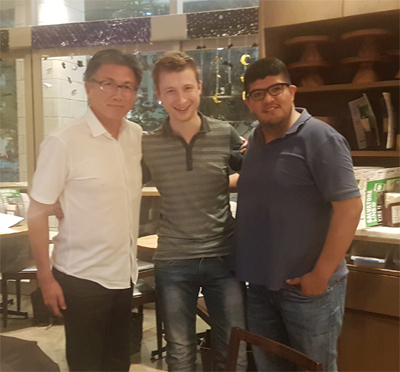 Charalambos will be jointly supervised by Sasha Tartakovskii and Dima Krizhanovskii, and will support their joint EPSRC grant on polaritons in 2D materials. October 2018: Two Early Stage Researchers from Toshiba Research Europe (Cambridge) registered for PhD in our group. Jonathan Mueller and Andrea Barbiero will carry out extended secondments in the group in 2019. This arrangement is reached under the EU network 4PHOTON, where both Toshiba and we are the beneficiaries. October 2018: Tom Lyons visited our collaborators at the University of Tokyo and RIKEN in Japan where he worked on thin ferromagnetic films. This visit was part of our Royal Society project with Professor Yoshichika Otani. See the picture below. Tom in Japan. Left to right Professor Otani, Tom, Dr Jorge Puebla. Jorge is a former PhD student from our group and is now a research fellow at RIKEN in Tokyo. October 2018: New Master students join our group: 4th year MPhys Toby Severs-Millard and Isaac Foreman. We also welcome a 3rd year project student Luke Allen. September 2018: Luca and Alessandro took part in a large outreach event ‘European Researchers’ Night’ in Brussels. This was a self-coordinated action by Early Stage Researchers from EU network Spin-NANO. See more details in the Spin-NANO blog and in the picture below. More articles in Spin-NANO blog can be found here. 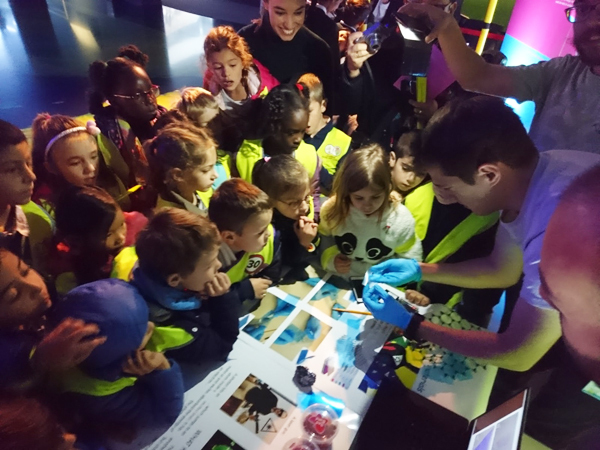 Luca shows exfoliation of atomically thin 2D materials layers to school children at the Researchers’ Night in Brussels. September 2018: Panaiot Zotev and Dr Armando Genco went to Eindhoven to attend the project meeting and workshop of Horizon2020 network called 4PHOTON (we are beneficiaries in this project). September 2018: Congratulations to Sasha Skrypka on completion and submission of his PhD thesis. The viva will follow in December. September 2018: Congratulations to Robert Schofield on successful graduation with a PhD from our group! 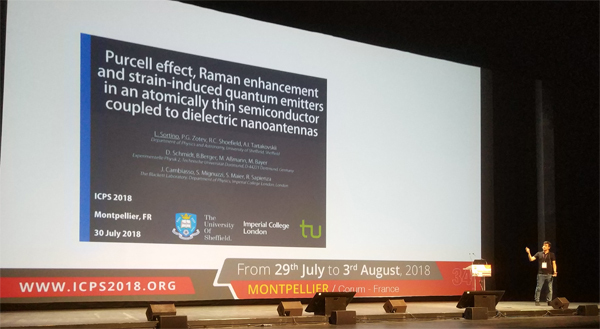 Robert’s thesis concerns first measurements in the group of ultra-low frequency Raman scattering in monolayer semiconductors and their heterostructures. September 2018: Luca and Alessandro attended Spin-Qubit 4 conference in Konstanz. This was part of their participation in Horizon2020 network called Spin-NANO (Tartakovskii coordinator). Picture below shows the Early Stage Researchers employed by the network at the Spin-Qubit meeting on the shores of the beautiful lake Bodensee in Konstanz. Spin-NANO ESRs in Konstanz at Spin-Qubit 4 conference. Luca 5th from left, Alessandro 3rd from right. September 2018: Four group members, Tom, Luca, Alessandro and Evgeny presented their work at Flatlands conference in Leipzig. This is one of the largest forums on 2D materials beyond graphene. See the picture below. 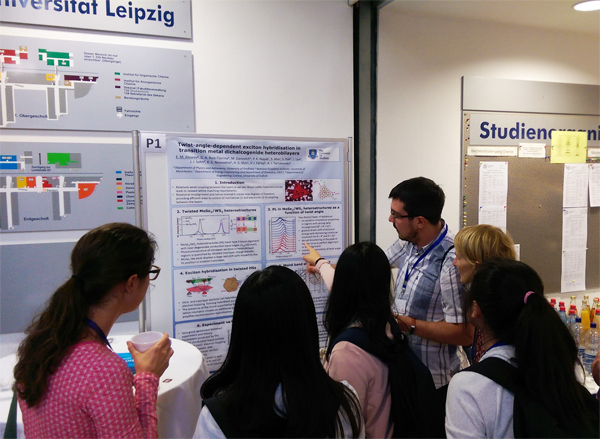 Evgeny presenting his poster on moire superlattices to a crowd in Leipzig. July-August 2018: Four group members, Luca, Alessandro, Dan and Evgeny presented their work at ICPS 2018 in Montpellier. International Conference on Physics of Semiconductors is the largest forum in this field. See the picture below. Luca presents his talk on the coupling of monolayer semiconductors to nano-antennas at ICPS in Montpellier. July 2018: Congratulations to Tom Lyons for winning the IOP student communication competition that took place during the recent UK Semiconductors conference in Sheffield (4-5 July). Tom had to present his research for non-specialists in 3 minutes and did that with clarity and style earning him the award. Well done! 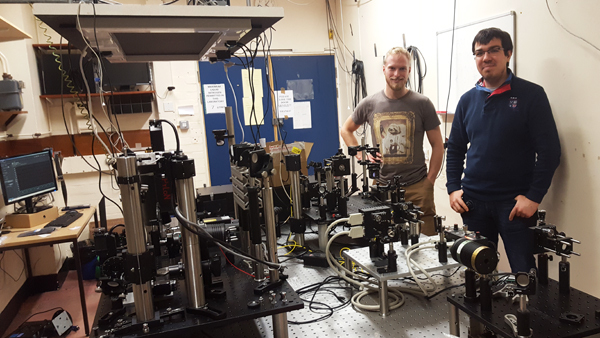 June 2018: Luca Sortino spent a week at TU Dortmund in Prof M Bayer’s group measuring time-resolved photoluminescence using the fast streak camera set-up. This is proving to be a very fruitful collaboration, which we are looking forward to developing further. April 2018: Our paper ‘Valley coherent exciton-polaritons in a monolayer semiconductor’ has been posted on arxiv.org: see here. This work led by our group is a collaboration with Clermont-Ferrand, Oxford and Manchester. March 2018: Fully funded PhD (UK students only) on ‘Light-matter interaction in atomically thin two-dimensional materials beyond graphene’ is available in the group under a joint supervision of Sasha Tartakovskii and Dmitry Krizhanovskii. See the description at findaphd.com. Please send your inquiries to a.tartakovskii@sheffield.ac.uk. November 2017: Dr Armando Genco has joined our group to work on polaritons in 2D materials as part of our new EPSRC grant. November 2017: Our paper ‘Strong-coupling of WSe2 in ultra-compact plasmonic nanocavities at room temperature’ has been published in Nature Communications: see here. This work is a collaboration between Cambridge and Sheffield. August 2017: See a time-lapse video showing how one of our labs was set-up in December 2016: Building a lab for optical studies of 2D Materials. August 2017: Our paper ‘On-Chip Waveguide Coupling of a Layered Semiconductor Single-Photon Source’ has been published in Nano Letters: see here. This work is a collaboration between Muenster and Sheffield. July 2017: Our paper ‘Valley-addressable polaritons in atomically thin semiconductors’ has been published in Nature Photonics: see here. This work is a collaboration between Sheffield, Oxford, Manchester and Clermont-Ferrand. July 2017: Our paper ‘Imaging of interlayer coupling in van der Waals heterostructures using a bright-field optical microscope’ has been published in Nano Letters: see here. This paper is a collaboration between Sheffield, Manchester, Oxford and UNIST (Korea). June 2017: We have been successful in obtaining an EPSRC grant to fund our collaboration with Manchester (K Novoselov, V Falko) on polariton physics in 2D materials. The grant funds 4 postdoc positions, including two optics posts in Sheffield, fabrication and theory in Manchester. A postoc position vacancy will soon be open in Sheffield. Get in touch with Sasha Tartakovskii if interested to apply. June 2017: Our joint paper on ‘Resonantly excited exciton dynamics in two-dimensional MoSe2 monolayers’ in collaboration with W Langbein’s (Cardiff) and K Novoselov’s (Manchester) groups has been published in Phys. Rev. B: see here. June 2017: Panaiot Zotev has joined our group. He will take a position of an Early Stage Researcher in the Marie Sklodowska-Curie network 4PHOTON (web-site at http://www.4photon.unimib.it/home). February 2017: Our paper ‘Single-photon emitters in GaSe’ has been published in 2D Materials: see here. This paper is a collaboration between Muenster, Sheffield, Kiev and Chernogolovka. December 2016: We have two PhD student vacancies to explore light-matter interaction and photonics concepts with 2D materials beyond graphene, and also to build and investigate quantum light emitters in atomically thin semiconductors. Get in touch with Sasha Tartakovskii if interested. November 2016: The group has expanded into a new lab where we will study quantum light emitters and do Raman spectroscopy in 2D materials. Part of the lab will be used for a growing fabrication effort. Robert and Evgeny in the new lab where several set-ups have been already assembled. December 2016. This is how this lab was set-up: see the video here. October 2016: We released a new animation explaining 2D materials and their role in future technology: watch the video. October 2016: Our paper ‘Exciton and trion dynamics in atomically thin MoSe2 and WSe2: Effect of localization’ has been published in Physical Review B.
June 2016: Our work on ‘Electrically pumped single-defect light emitters in WSe2’ has been published in 2D Materials. See more in the news archive below. Stefan Schwarz aligning the open cavity set-up. Autumn 2014. The isolation of single-atomic layer graphene has led to a surge of interest in other layered crystals with strong in-plane bonds and weak, van der Waals-like, interlayer coupling. Here we research new properties of two-dimensional chalcogenides (sulfides, selenides, and tellurides) such as MoS2, MoSe2, WSe2, WS2, NbSe2, gallium and indium chalcogenides and others from the huge family of these synthesized and natural materials. In their bulk form chalcogenides may vary from insulators to semiconductors, from metals to superconductors, and exhibit topological insulator properties. We obtain 2D films by mechanical exfoliation from layered van-der-Waals-bonded bulk crystals. The properties of 2D films may differ from the bulk quite dramatically. For example, some indirect band-gap semiconductors turn to direct band-gap ones and become optically active. 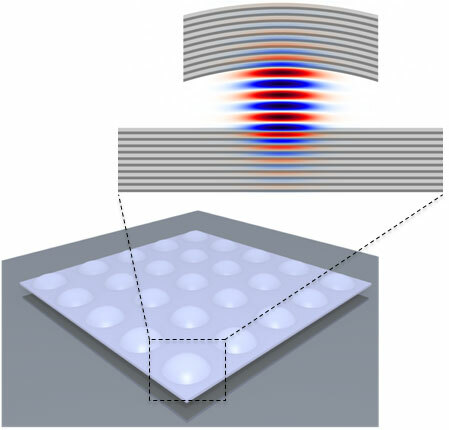 Our recent effort is on development of hybrid photonic devices comprising these 2D films and artificially built van der Waals heterostructures consisting of atomically thin layers of various materials. Mirror design and calculated electric field distribution in an open-access microcavity used for experiments with 2D films and heterostructures. The 2D structures are placed on the bottom dielectric mirror. The top mirror has a concave shape and can be positioned at a precise vertical displacement from the bottom mirror. The group is led by Prof Sasha Tartakovskii, who so far graduated 8 PhD students (+2 more in 2017). In 2016 the group reached its highest number so far of 5 PhD students, Robert Schofield, Oleksandr Skrypka, Thomas Lyons, Alessandro Catanzaro, and Luca Sortino, and 4 postdocs, Tillmann Godde, Scott Dufferwiel, Evgeny Alexeev, and Stefan Schwarz. In 2017, the group size will fluctuate from 7 to 9 people, and will have 5 PhD students and 2 postdocs by the end of the year, with people with origin in the UK, Italy, Russia, Ukraine and Bulgaria. Our expertise is in photonics and magneto-optics of nano-structured semiconductors. 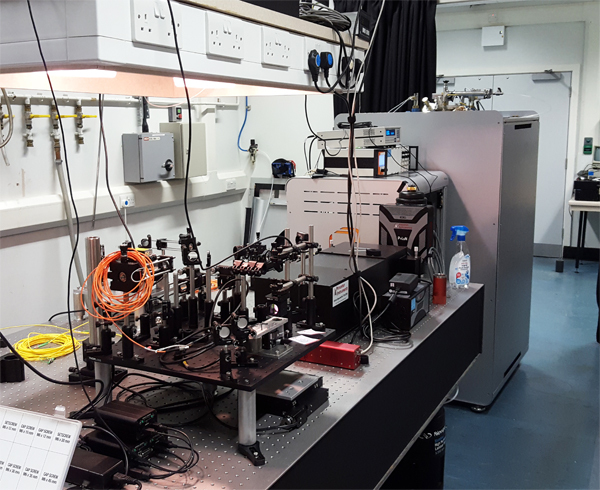 The group occupies dedicated three high-spec optical laboratories (including a state-of-the-art magneto-optics and Raman set-up), and shares access to several other state-of-the-art optics laboratories of Prof M Skolnick’s group. Sample and device fabrication is usually carried out at the National III-V Semiconductor Facility in Sheffield, where we have a dedicated set-up to produce atomically thin flakes and heterostructures. 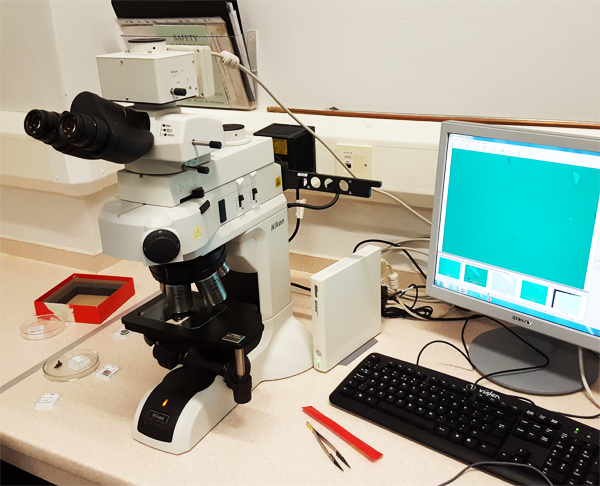 Additionally, we have installed an optical microscopy set-up in one of our labs, where more sample fabrication can be done. Equipment has just been moved in the new lab. End of May 2016. Scott is working on a set-up combining a vector magnet and a scanning microcavity in our new lab. June 2016. Our main collaborators in this field are Prof K Novoselov’s group in Manchester (joint work on optics of van der Waals heterostructures). We also continue our close collaboration with a leading theorist in the field of 2D materials Prof V Falko (the Director of the National Graphene Institute in Manchester from October 2015). 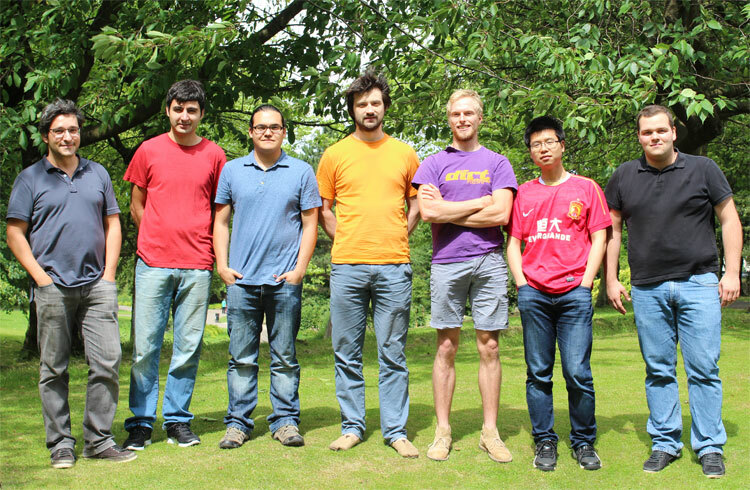 Other important collaborations include: polariton physics theory group of G Malpuech (Clermont-Ferrand); specialist in tunable optical microcavities J Smith (Oxford); 2D materials synthesis group of Hyeon Suk Shin (UNIST, Korea); ultra-fast optical spectroscopy group of M Bayer (Dortmund); quantum optics and ultra-fast spectroscopy group of R Bratschitsch (Munster); plasmonics group of J Baumberg (Cambridge); dielectric coating specialist Helia Photonics (Livingston); low-temperature positioning specialist Attocube Systems (Munich); and the leading supplier of layered materials HQ Graphene (Groningen). New collaborations are developing with C Mattevi, S Maier, R Sapienza (Imperial College London). May 2016: The group has expanded into a new lab fully dedicated to magneto-optics and microcavity polaritons in 2D materials. Part of the lab is used to support our growing fabrication effort. See new photographs in the Resources section below. April 2016: Two Marie Sklodowska-Curie researchers have started in the group: Luca Sortino and Alessandro Catanzaro. The positions are funded by the new Marie Sklodowska-Curie Innovative Training Network ‘Spin-NANO’ coordinated by Sheffield. December 2015: The group has expanded into a new lab fully dedicated to optics of 2D materials providing ample space for development of micro-Raman and micro-absorption techniques. November 2015: Our paper ‘WSe2 Light-Emitting Tunneling Transistors with Enhanced Brightness at Room Temperature’ has been published in Nano Letters. October 2015: Our paper ‘Exciton–polaritons in van der Waals heterostructures embedded in tunable microcavities’ has been published in Nature Communications: Nature Communications 6, Article number: 8579 doi:10.1038/ncomms9579. September 2015: Three Sheffield’s Masters students joined the group: Lokesh Gurung, Catherine Phillips and David Draper. August 2015: The group acquired a so-called ‘2D film transfer system’ from Manchester’s spin-off Graphene Industries designed for layer-by-layer assembly of van der Waals heterostructures. First Sheffield-made MoSe2/hBN heterostructures giving exceptionally bright photoluminescence were produced by Evgeny Alexeev. July 2015: Our paper ‘Photoluminescence of two-dimensional gallium chalcogenide films’ has been published in the journal 2D Materials (IoP): 2D Materials, 2 (3), 035010 (2015). June 2015: Our paper on stability of gallium and indium chalcogenides films has appeared on arxiv: http://arxiv.org/abs/1506.05619. May 2015: Our paper on ‘Exciton-polaritons in van der Waals heterostructures embedded in tunable microcavities’ has appeared on arxiv: http://arxiv.org/abs/1505.04438. May 2015: Proposal for a new Marie Sklodowska-Curie Innovative Training Network ‘Spin-NANO’ led by A. Tartakovskii has been successful. 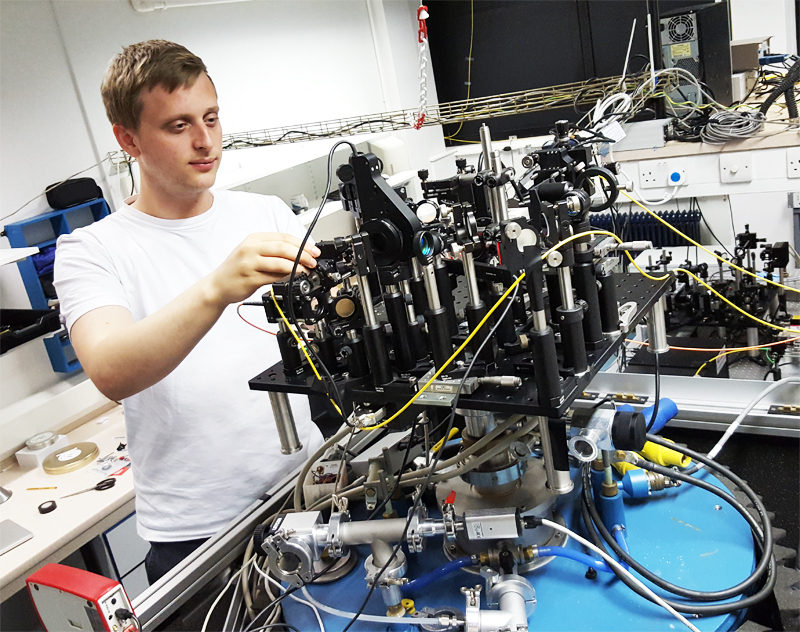 April 2015: a new postdoctoral fellow Dr Evgeny Alexeev has been appointed to boost our micro-fabrication efforts. He will start in June 2015. February 2015: Our paper on 2D LEDs (in collaboration with F Withers and K Novoselov, Manchester) has just been published: http://www.nature.com/nmat/…/nmat4205.html. 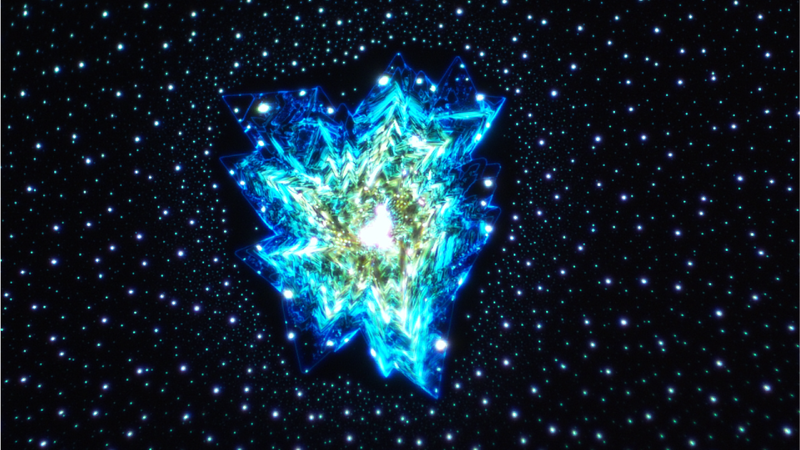 January 2015: Our new paper entitled ‘Optical properties of two-dimensional gallium chalcogenide films’ has appeared on arxiv: http://arxiv.org/abs/1501.02214. January 2015: Scott Dufferwiel joined the group as a postdoctoral researcher on our Graphene Flagship project. December 2014: We have been awarded an EPSRC grant (collaboration with Prof A Patane, Nottingham) to investigate optical properties of layered III-VI materials. We will be recruiting 2 postdocs, one with a focus on fabrication, and the other to do advanced optics experiments. December 2014: Our joint paper with Prof K Novoselov’s group (Manchester) entitled ‘Light-emitting diodes by bandstructure engineering in van der Waals heterostructures’ has appeared on arxiv: http://arxiv.org/abs/1412.7621. November 2014: Our paper on 2D semiconductors in tunable cavities has just been published online in Nano Letters http://pubs.acs.org/doi/abs/10.1021/nl503312x. See a ‘Tech Update’ piece on this work at nanotechweb.org. November 2014: Three master students have joined our group. October 2014: A new PhD student Oleksandr Skrypka joined the group. He has arrived from Ukraine. 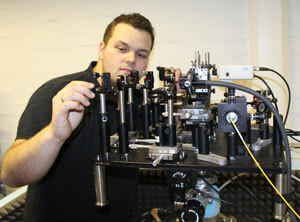 He will work on 2D photonics including the latest microcavity projects. 1. E. M. Alexeev, D. A. Ruiz-Tijerina, M. Danovich, M. J. Hamer, D. J. Terry, P. K. Nayak, S. Ahn, S. Pak, J. Lee, J. I. Sohn, M. R. Molas, M. Koperski, K. Watanabe, T. Taniguchi, K. S. Novoselov, R. V. Gorbachev, H. S. Shin, V. I. Fal’ko, A. I. Tartakovskii, “Resonantly hybridized excitons in moiré superlattices in van der Waals heterostructures”, NATURE 567, 81 (2019). 2. S. Dufferwiel, T. P. Lyons, D. D. Solnyshkov, A. A. P. Trichet, A. Catanzaro, F. Withers, G. Malpuech, J. M. Smith, K. S. Novoselov, M. S. Skolnick, D. N. Krizhanovskii & A. I. Tartakovskii, “Valley coherent exciton-polaritons in a monolayer semiconductor”, NATURE COMMUNICATIONS 9, 4797 (2018). 3. M.-E. Kleemann, R. Chikkaraddy, E. M. Alexeev, D. Kos, C. Carnegie, W. Deacon, A. Casalis de Pury, C. Große, B. de Nijs, J. Mertens, A. I. Tartakovskii, J. J. Baumberg, “Strong-coupling of WSe2 in ultra-compact plasmonic nanocavities at room temperature“, NATURE COMMUNICATIONS 8, 1296 (2017). 4. S. Dufferwiel, T. P. Lyons, D. D. Solnyshkov, A. A. P. Trichet, F. Withers, S. Schwarz, G. Malpuech, J. M. Smith, K. S. Novoselov, M. S. Skolnick, D. N. Krizhanovskii, A. I. Tartakovskii, “Valley addressable exciton-polaritons in atomically thin semiconductors”, NATURE PHOTONICS 11, 497 (2017). 5. P. Tonndorf, O. Del Pozo-Zamudio, N. Gruhler, J. Kern, R. Schmidt, A. I. Dmitriev, A. P. Bakhtinov, A. I. Tartakovskii, W. Pernice, S. Michaelis de Vasconcellos, R. Bratschitsch “On-Chip Waveguide Coupling of a Layered Semiconductor Single-Photon Source”, NANO LETTERS, 17, 5446 (2017). 6. E. M. Alexeev, A. Catanzaro, O. V. Skrypka, P. K. Nayak, S. Ahn, S. Pak, J. Lee, J. I. Sohn, K. S. Novoselov, H. S. Shin, A. I. Tartakovskii “Imaging of Interlayer Coupling in van der Waals Heterostructures Using a Bright-Field Optical Microscope”, NANO LETTERS, 17, 5342 (2017). 7. O. Del Pozo-Zamudio, J. Puebla, A. Krysa, R. Toro, A. M. Sanchez, R. Beanland, A. I. Tartakovskii, M. S. Skolnick, E. A. Chekhovich, “Metalorganic vapor phase epitaxy growth, transmission electron microscopy, and magneto-optical spectroscopy of individual InAsP/GaInP quantum dots”, PHYS. REV. MATERIALS 1, 034605 (2017). 8. L. Scarpelli, F. Masia, E. M. Alexeev, F. Withers, A. I. Tartakovskii, K. S. Novoselov, and W. Langbein, “Resonantly excited exciton dynamics in two-dimensional MoSe2 monolayers”, PHYSICAL REVIEW B 96, 045407 (2017). 9. P. Tonndorf, S. Schwarz, J. Kern, I. Niehues, O. Del Pozo Zamudio, A. Dmitriev, A. Bakhtinov, D. Borisenko, N. Kolesnikov, A. I. Tartakovskii, S. Michaelis de Vasconcellos, R. Bratschitsch, “Single-photon emitters in GaSe”, 2D MATERIALS 4, 2 (2017). 10. T. Godde, D. Schmidt, J. Schmutzler, M. Aßmann, J. Debus, F. Withers, E. M. Alexeev, O. Del Pozo-Zamudio, O. V. Skrypka, K. S. Novoselov, M. Bayer, A. I. Tartakovskii, “Exciton and trion dynamics in atomically thin MoSe2 and WSe2: Effect of localization”, PHYSICAL REVIEW B 94, 165301 (2016). 11. S. Schwarz, A. Kozikov, F. Withers, J. K. Maguire, A. P. Foster, S. Dufferwiel, L. Hague, M. N. Makhonin, L. R. Wilson, A. K. Geim, K. S. Novoselov, A. I. Tartakovskii, “Electrically pumped single-defect light emitters in WSe2”, 2D MATERIALS, 3, 025038 (2016). 12. 6. A. Waeber, M. Hopkinson, I. Farrer, D. A. Ritchie, J. Nilsson, R. M. Stevenson, A. J. Bennett, A. J. Shields, G. Burkard, A. I. Tartakovskii, M. S. Skolnick, E. A. Chekhovich, “Few-second-long correlation times in a quantum dot nuclear spin bath probed by frequency-comb nuclear magnetic resonance spectroscopy”, NATURE PHYSICS 12, 688 (2016). 13. A. Ulhaq, Q. Duan, E. Zallo, F. Ding, O. G. Schmidt, A. I. Tartakovskii, M. S. Skolnick, and E. A. Chekhovich, “Vanishing electron g factor and long-lived nuclear spin polarization in weakly strained nanohole-filled GaAs/AlGaAs quantum dots”, PHYSICAL REVIEW B 93, 165306 (2016). 14. F. Withers, O. Del Pozo-Zamudio, S. Schwarz, S. Dufferwie, P. M. Walker, T. Godde, A. P. Rooney, A. Gholinia, C. R. Woods, P. Blake, S. J. Haigh, K. Watanabe, T. Taniguchi, I. L. Aleiner, A. K. Geim, V. I. Fal’ko, A. I. Tartakovskii, K. S. Novoselov, “WSe2 Light-Emitting Tunneling Transistors with Enhanced Brightness at Room Temperature”, NANO LETTERS, 15, 8223 (2015). 15. S. Dufferwiel, S. Schwarz, F. Withers, A. A. P. Trichet, F. Li, M. Sich, O. Del Pozo-Zamudio, C. Clark, A. Nalitov, D.D. Solnyshkov, G. Malpuech, K. S. Novoselov, J. M. Smith, M. S. Skolnick, D. N. Krizhanovskii, A. I. Tartakovskii, “Exciton-polaritons in van der Waals heterostructures embedded in tunable microcavities”, NATURE COMMUNICATIONS, 6, 8579 (2015). 16. O. Del Pozo-Zamudio, S. Schwarz, M. Sich, I. A. Akimov, M. Bayer, R. C. Schofield, E. A. Chekhovich, B. J. Robinson, N. D. Kay, O. V. Kolosov, A. I. Dmitriev, G. V. Lashkarev, D. N. Borisenko, N. N. Kolesnikov, A. I. Tartakovskii, “Photoluminescence of two-dimensional GaTe and GaSe films”, 2D Materials, 2, 035010 (2015). 17. F. Withers, O. Del Pozo-Zamudio, A. Mishchenko, A. P. Rooney, A. Gholinia, K. Watanabe, T. Taniguchi, S. J. Haigh, A. K. Geim, A. I. Tartakovskii, K. S. Novoselov, “Light-emitting diodes by band-structure engineering in van der Waals heterostructures”, NATURE MATERIALS, 14, 301 (2015). 18. E. A. Chekhovich, M. Hopkinson, M. S. Skolnick, A. I. Tartakovskii, “Suppression of nuclear spin bath fluctuations in self-assembled quantum dots induced by inhomogeneous strain”, NATURE COMMUNICATIONS, 6, 6348 (2015). 19. S. J. Haigh, A. P. Rooney, E. Prestat, F. Withers, O. Del Pozo Zamudio, A. Mishchenko, A. Gholinia, K. Watanabe, T. Taniguchi, A. I. Tartakovskii, A. K. Geim, K. S. Novoselov, “Cross sectional STEM imaging and analysis of multilayered two dimensional crystal heterostructure devices”, MICROSCOPY AND MICROANALYSIS 21, 107 (2015). 20. B. Pingault, J. N. Becker, C. H. H. Schulte, C. Arend, C. Hepp, T. Godde, A. I. Tartakovskii, M. Markham, C. Becher, M. Atature, “All-Optical Formation of Coherent Dark States of Silicon-Vacancy Spins in Diamond”, PHYSICAL REVIEW LETTERS, 113, 263601 (2014). 21. S. Schwarz, S. Dufferwiel, P. M. Walker, F. Withers, A. A. P. Trichet, M. Sich, F. Li, E. A. Chekhovich, D. N. Borisenko, N. N. Kolesnikov, K. S. Novoselov, M. S. Skolnick, J. M. Smith, D. N. Krizhanovskii, A. I. Tartakovskii, “Two-Dimensional Metal-Chalcogenide Films in Tunable Optical Microcavities”, NANO LETTERS, 14, 7003 (2014). 22. C. Bulutay, E. A. Chekhovich, A. I. Tartakovskii, “Nuclear magnetic resonance inverse spectra of InGaAs quantum dots: Atomistic level structural information”, PHYSICS REVIEW B, 90, 205425 (2014). 23. D. Sercombe, S. Schwarz, O. Del Pozo-Zamudio, F. Liu, B. J. Robinson, E. A. Chekhovich, I. I. Tartakovskii, O. Kolosov, A. I. Tartakovskii, “Optical investigation of the natural electron doping in thin MoS2 films deposited on dielectric substrates”, SCIENTIFIC REPORTS, 3, 3489 (2013). 24. E. A. Chekhovich, M. N. Makhonin, A. I. Tartakovskii, A. Yacoby, H. Bluhm, K. C. Nowack, L. M. K. Vandersypen “Nuclear spin effects in semiconductor quantum dots”, NATURE MATERIALS, 12, 494 (2013). 25. J. Puebla, E. A. Chekhovich, M. Hopkinson, P. Senellart, A. Lemaitre, M. S. Skolnick, and A. I. Tartakovskii, “Dynamic nuclear polarization in InGaAs/GaAs and GaAs/AlGaAs quantum dots under nonresonant ultralow-power optical excitation”, PHYSICAL REVIEW B 88, 045306 (2013). 26. I. J. Luxmoore, R. Toro, O. Del Pozo-Zamudio, N. A. Wasley, E. A. Chekhovich, A. M. Sanchez, R. Beanland, A. M. Fox, M. S. Skolnick, H. Y. Liu, A. I. Tartakovskii, “III–V quantum light source and cavity-QED on Silicon”, SCIENTIFIC REPORTS, 3, 1239 (2013). 27. E. A. Chekhovich, M. M. Glazov, A. B. Krysa, M. Hopkinson, P. Senellart, A. Lemaître, M. S. Skolnick, A. I. Tartakovskii, “Element-sensitive measurement of the hole–nuclear spin interaction in quantum dots”, NATURE PHYSICS, 9, 74 (2013). 28. O. D. D. Couto, Jr., D. Sercombe, J. Puebla, L. Otubo, I. J. Luxmoore, M. Sich, T. J. Elliott, E. A. Chekhovich, L. R. Wilson, M. S. Skolnick, H.Y. Liu, A. I. Tartakovskii, “Effect of a GaAsP Shell on the Optical Properties of Self-Catalyzed GaAs Nanowires Grown on Silicon”, NANO LETTERS, 12, 5269 (2012). 29. E. A. Chekhovich, K. V. Kavokin, J. Puebla, A. B. Krysa, M. Hopkinson, A. D. Andreev, A. M. Sanchez, R. Beanland, M. S. Skolnick, A. I. Tartakovskii, “Structural analysis of strained quantum dots using nuclear magnetic resonance”, NATURE NANOTECHNOLOGY, 7, 646 (2012). 30. I. J. Luxmoore, E. D. Ahmadi, B. J. Luxmoore, N. A. Wasley, A. I. Tartakovskii, M. Hugues, M. S. Skolnick, A. M. Fox, “Restoring mode degeneracy in H1 photonic crystal cavities by uniaxial strain tuning”, APPLIED PHYSICS LETTERS, 100, 121116 (2012). 31. O. Makarovsky, E. E. Vdovin, A. Patane, L. Eaves, M. N. Makhonin, A. I. Tartakovskii, M. Hopkinson, “Laser Location and Manipulation of a Single Quantum Tunneling Channel in an InAs Quantum Dot”, PHYSICAL REVIEW LETTERS, 108, 117402 (2012). 32. M. N. Makhonin, K. V. Kavokin, P. Senellart, A. Lemaître, A. J. Ramsay, M. S. Skolnick, A. I. Tartakovskii, “Fast control of nuclear spin polarization in an optically pumped single quantum dot”, NATURE MATERIALS 10, 844 (2011). 33. O. D. D. Couto, Jr., J. Puebla, E. A. Chekhovich, I. J. Luxmoore, C. J. Elliott, N. Babazadeh, M. S. Skolnick, A. I. Tartakovskii, and A. B. Krysa, “Charge control in InP/(Ga,In)P single quantum dots embedded in Schottky diodes”, PHYSICAL REVIEW B 84, 125301 (2011). 34. A. Chekhovich, A. B. Krysa, M. S. Skolnick, A. I. Tartakovskii, “Light-polarization-independent nuclear spin alignment in a quantum dot”, PHYSICAL REVIEW B 83, 125318 (2011). 35. A. Chekhovich, A. B. Krysa, M. S. Skolnick, and A. I. Tartakovskii, “Direct Measurement of the Hole-Nuclear Spin Interaction in Single InP/GaInP Quantum Dots Using Photoluminescence Spectroscopy”, PHYSICAL REVIEW LETTERS 106, 027402 (2011). 36. Ł. Kłopotowski, V. Voliotis, A. Kudelski, A. I. Tartakovskii, P. Wojnar, K. Fronc, R. Grousson, O. Krebs, M. S. Skolnick, G. Karczewski, and T. Wojtowicz, “Stark spectroscopy and radiative lifetimes in single self-assembled CdTe quantum dots”, PHYSICAL REVIEW B 83, 155319 (2011). 37. I. J. Luxmoore, E. D. Ahmadi, N. A. Wasley, A. M. Fox, A. I. Tartakovskii, A. B. Krysa, M. S. Skolnick, “Control of spontaneous emission from InP single quantum dots in GaInP photonic crystal nanocavities”, APPLIED PHYSICS LETTERS 97, 181104 (2010). 38. M. N. Makhonin, E. A. Chekhovich, P. Senellart, A. Lemaître, M. S. Skolnick, A. I. Tartakovskii, “Optically tunable nuclear magnetic resonance in a single quantum dot”, PHYSICAL REVIEW B 82, 161309(R) (2010). 39. A. Chekhovich, M. N. Makhonin, J. Skiba-Szymanska, A. B. Krysa, V. D. Kulakovskii, M. S. Skolnick, A. I. Tartakovskii, “Dynamics of optically induced nuclear spin polarization in individual InP/GaInP quantum dots”, PHYSICAL REVIEW B 81, 245308 (2010). 40. A. Chekhovich, M. N. Makhonin, K.V. Kavokin, A. B. Krysa, M. S. Skolnick, A. I. Tartakovskii, “Pumping of Nuclear Spins by Optical Excitation of Spin-Forbidden Transitions in a Quantum Dot”, PHYSICAL REVIEW LETTERS 104, 066804 (2010). 41. A. Berthelot, G Cassabois, C Voisin, C Delalande, R Ferreira, P Roussignol, J Skiba-Szymanska, R Kolodka, A I Tartakovskii, M Hopkinson, M S Skolnick, “Voltage-controlled motional narrowing in a semiconductor quantum dot”, NEW JOURNAL OF PHYSICS 11, 093032 (2009). 42. A. E. Nikolaenko, E. A. Chekhovich, M. N. Makhonin, I. W. Drouzas, A. B. Van’kov, J. Skiba-Szymanska, M. S. Skolnick, P. Senellart, D. Martrou, A. Lemaître, A. I. Tartakovskii, “Suppression of nuclear spin diffusion at a GaAs/AlGaAs interface measured with a single quantum-dot nanoprobe”, PHYSICAL REVIEW B 79, 081303 (2009). 43. M. N. Makhonin, J. Skiba-Szymanska, M. S. Skolnick, H.-Y. Liu, M. Hopkinson, A. I. Tartakovskii, “Voltage-controlled nuclear polarization switching in a single InGaAs quantum dot”, PHYSICAL REVIEW B 79, 125318 (2009). 44. M. N. Makhonin, A. I. Tartakovskii, A. Ebbens, M. S. Skolnick, A. Russell, V. I. Fal’ko, and M. Hopkinson, “Nuclear spin pumping under resonant optical excitation in a quantum dot”, APPLIED PHYSICS LETTERS 93, 073113 (2008). 45. J. Skiba-Szymanska, E. A. Chekhovich, A. E. Nikolaenko, A. I. Tartakovskii, M. N. Makhonin, I. Drouzas, M. S. Skolnick, A. B. Krysa, “Overhauser effect in individual InP/GaInP dots”, PHYSICAL REVIEW B 77, 165338 (2008). 47. A. Russell, V. I. Fal’ko, A. I. Tartakovskii, M. S. Skolnick, “Bistability of optically induced nuclear spin orientation in quantum dots”, PHYSICAL REVIEW B 76, 195310 (2007). 48. A. I. Tartakovskii, T. Wright, A. Russell, V. I. Fal’ko, A. B. Van’kov, J. Skiba-Szymanska, I. Drouzas, R. S. Kolodka, M. S. Skolnick, P. W. Fry, A. Tahraoui, H.-Y. Liu, M. Hopkinson, “Nuclear Spin Switch in Semiconductor Quantum Dots”, PHYSICAL REVIEW LETTERS 98, 026806 (2007). © 2018 the LDSD Group, the University of Sheffield.